A vivid portrait of girls caught between brutal childhood and an unpromising future is the subject of play coming to the Theatre Royal Bury St Edmunds next month. The Spring tour of “Rita, Sue and Bob, Too” is on stage between Tuesday and Saturday, March 19 and 23. It tells the tale of best friends Rita and Sue who get a lift home from married Bob after babysitting his children. When he takes the scenic route and offers them a taste of adult adventure, the three start a fling each of them thinks they can control. Written by Andrea Dunbarin 1982 when she was just 19, “Rita, Sue and Bob Too” was an instant hit, told with wicked humour, startling insight and a great ear for dialogue. In 1987 the play was adapted into a comedy-drama film starring George Costigan as Bob and Lesley Sharp as his wife Michelle. 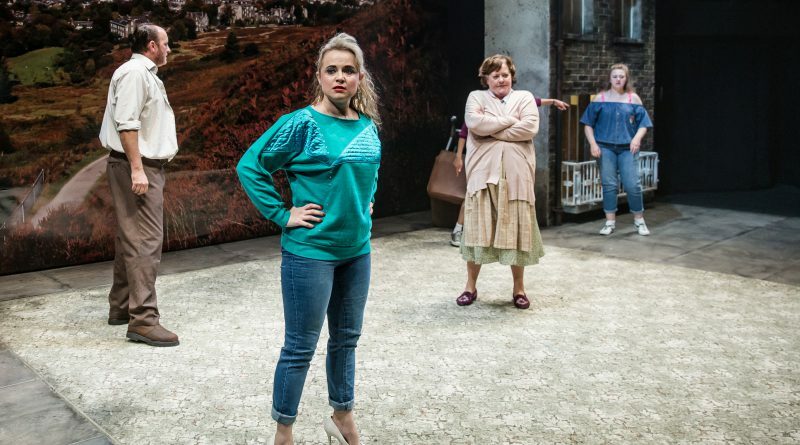 The cast comprises of Gemma Dobson, winner of a Stage Debut Award and a UK Theatre Award for her 2017 performance as Sue; John Askew (And Did Those Feet Fall, Gypsy Queen) as Bob; Alice Liburd (joining the company from open auditions) as Rita; Susan Mitchell (Emmerdale, Coronation Street) as mum; Samantha Robinson (Educating Rita, Cilla) as Michelle; and David Walker (Hangmen in the West End, Coronation Street). Dunbar’s ground-breaking play, directed in 2017 by Out of Joint’s artistic cirector Kate Wasserberg and co-produced with Royal Court Theatre and Octagon Theatre Bolton was seen by over 30,000 people across the country. The production makes a triumphant return in 2019 following overwhelming public demand, touring the country and this will be the first time the play has been professionally performed in Dunbar’s home city, Bradford.